I’m fortunate enough to have a job where I can 1. Wear polish 2. Wear outrageous polish or colors 3. Have co-workers and bosses who like to look at and compliment my outrageous polish and 4. Have a boss who buys things to match my polish! Recently the head honcho got everyone new wireless mouses (meese, whatever) and was considerate enough to get me a “special” mouse that has a great trendy pattern on it “to match my patterned nails”. 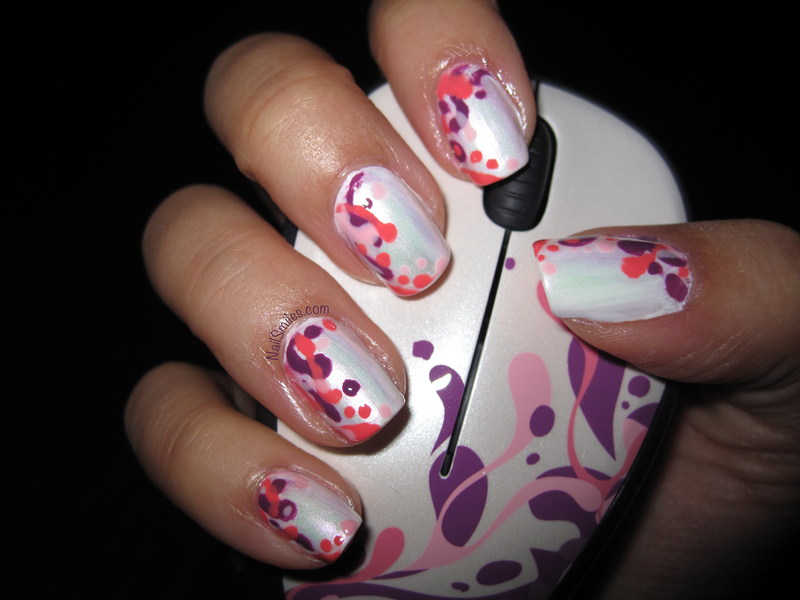 It took me a couple weeks, but I did finally get around to doing a wireless mouse inspired matching mani. The response at my office today was great – one coworker jumped and gave me an uncontrollable enthusiastic high five (the one who had actually picked out the mouse), my boss grabbed my hand, gasped and then called her boss over, and one coworker exclaimed he couldn’t believe I painted the pattern. Success! a combination of Essie Good Morning Hope, Ulta Plum Perfect and Sally Hansen Coral Reef painted with a fine brush to make the colorful splash pattern atop the white. Seche Vite Base Coat and Orly Sec’n Dry Top Coat. Again, I need to re-iterate that I’m less pleased with this new top coat over the Seche Vite Top Coat I was using until it ran out. 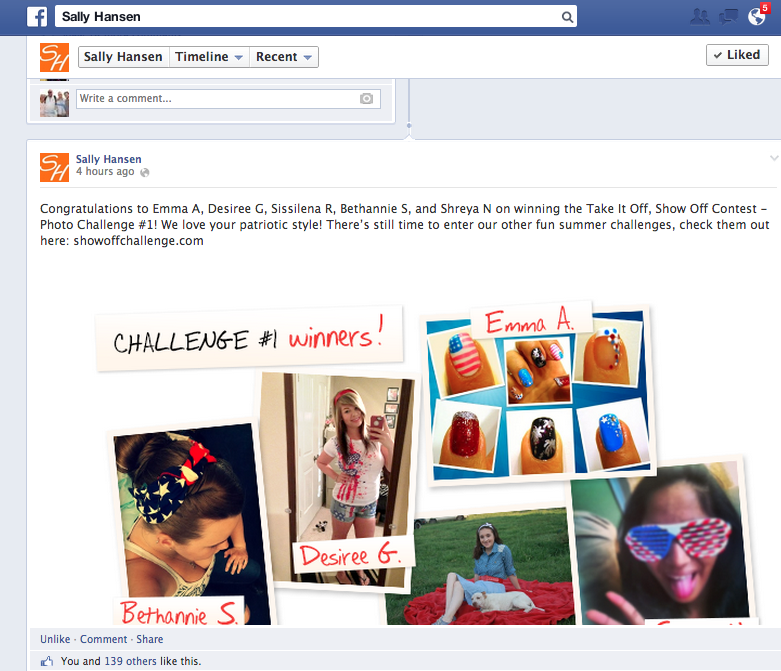 I’m so excited to announce that I won the Sally Hansen’s Take it Off, Show it Off Contest for Fourth of July style (along with 4 other lucky gals). The hardest part was having to wait to announce it until Sally Hansen officially posted the winners. So what does this mean? It means I get $100 of free Sally Hansen’s products and yes I am planning on passing along some of those items to my readers in the near future! I’ll be sure to post when the box arrives so I can share more of my excitement…it’s like waiting for Christmas or my birthday now! 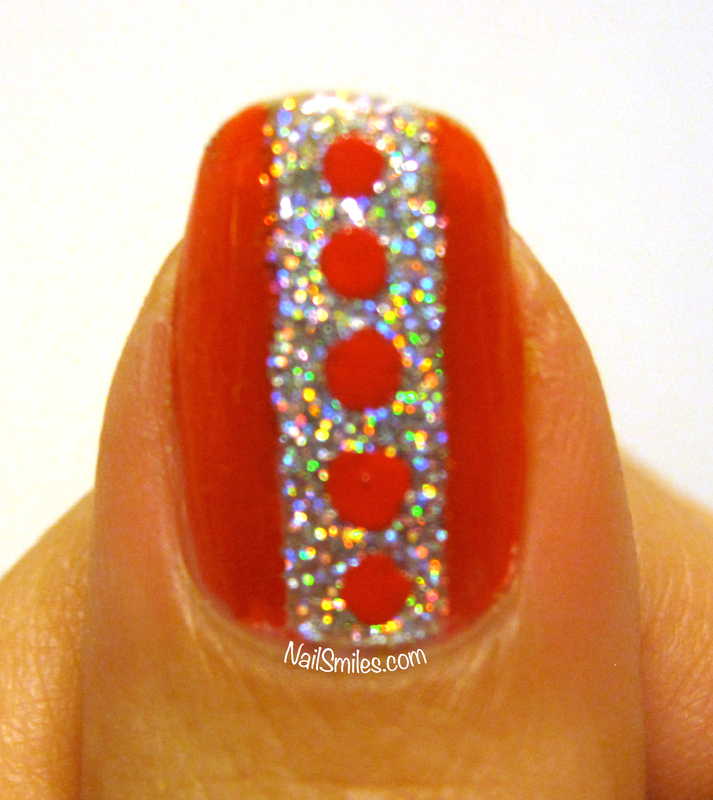 Here’s the original post I did about the Fourth of July manis. Thank you Sally Hansen, the first nail polish I ever owned! The polish from my “Holo Racing Stripe” manicure stayed on so well after five days that I decided to just do some stamping on top to give it a fresh look. I’m not sure whether it lasted so well because of the polish, the topcoat, my “Making Your Mani Last” procedure or the perfect storm of all three. Each hand is a little different, but I think they both turned out fun. 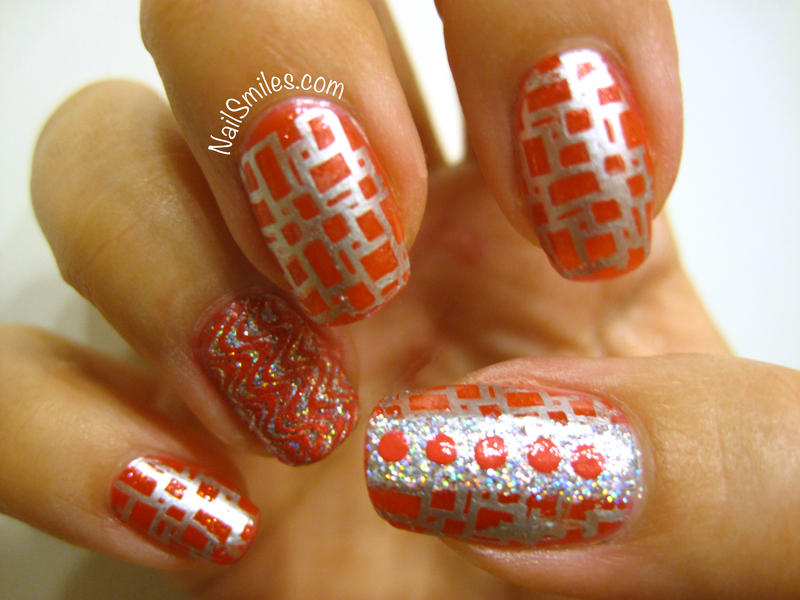 The two colors I used for stamping are Pure Ice “Silver Mercedes” and Sally Hansen’s “Sonic Bloom” – both work really well with stamping, although the Sonic Bloom stamping on the glitter accent came out textured. 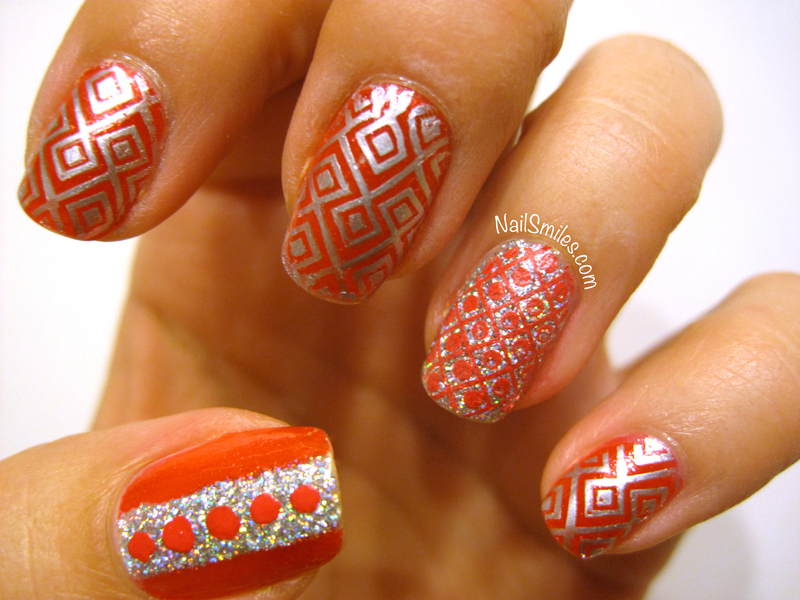 The stamping plate I used was the Cheeky Jumbo Plate A. No topcoat on these bad boys. What do you do to “refresh” your manicures? Dark nail polish may take longer to dry than light polish colors because of denser pigmentation. Give an extra couple minutes dry time between layers for dark colors to get the best wear. The thickness (viscosity) of the polish affects drying time as well, thicker = longer dry time. Creme style polishes are more likely to apply unevenly or “streaky”. You may be inclined to try a thick coat, but you are better off combatting uneven color with 3 thin coats. When you apply one thick layer of polish not only does it take forever to dry (and inevitably gets smudged) it is also more likely to peel off faster. 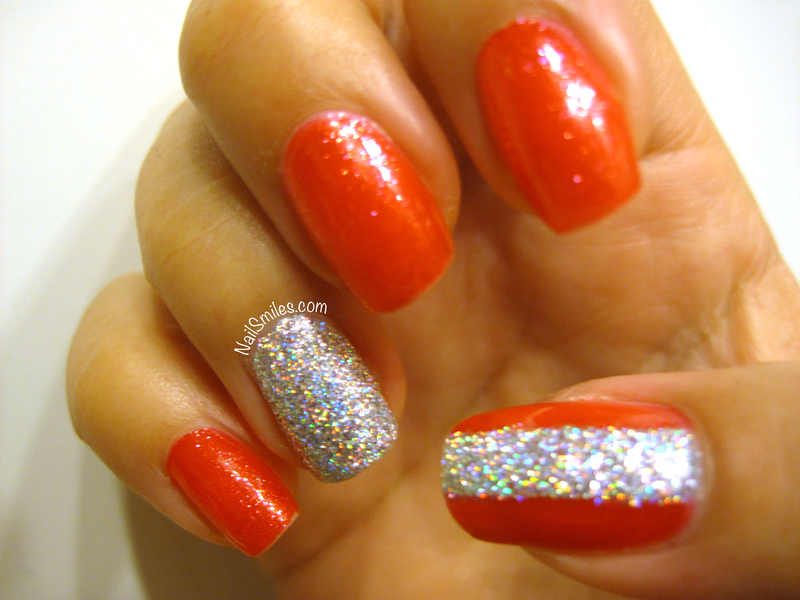 Glitter polishes will hold onto your nails like baby monkeys. To make this process a whole lot easier use the same method for removing gel nails. Soak a small piece of cotton with acetone and place on each nail. Wrap a small piece of aluminum foil to hold the cotton in place and give it about two minutes; everything will wipe right off. If you get gels or acrylics and have problems with the nails lifting quickly it could be for more than one reason. You may have heard of “oily nail beds”, but this is rarely the cause of lifting; more likely there is small debris or oil residue on your nails that prevents adhesion or creates air pockets. Make sure your manicurist does a thorough prep, including cuticle pushing/cleaning, gentle buffing and oil removal. Clammy hands can cause issues as well, so if this is a known concern for you make sure your manicurist drys your hands directly before application. Your nail health can indicate everything from thyroid problems, infections, lung disease, to nutrient deficiencies. If you have dry, weak, cracked, soft or splitting nails there may be more than one culprit. It could simply be exposure to harsh environmental conditions or using too much acetone, which can be drying to the nail bed, but also consider how often you wash your hands per day or what your regular diet is. Unhealthy nails are best repaired with a combination of external and internal adjustments. Externally, apply a cuticle oil or balm 1-3+ times per day (best to do without polish, however you will still get benefits if you apply to polished nails); a great time to do this is after you wash your hands because soap removes your natural skin oils. I find oil during the day and a balm before bed at night. Also switch from drying antibacterial/synthetic soap to one made from natural oils. Internally, start by drinking more water! Maybe you have multiple cups of coffee or soda per day? These drinks have caffeine, a diuretic, so you’ll need to increase your water consumption to counterbalance the effects. If you’re not eating a diet full of vegetables, fruits and whole foods (meaning you’re eating a lot of processed/convenience foods) you may end up with a nutrient deficiency. Iron, zinc, vitamin A, B Complex vitamins, vitamin C, calcium, folic acid, and essential oil deficiencies can call manifest through poor nail health. Increase your consumption of leafy greens, fruits, nuts, seeds, beans and cold water fish to start. Don’t ignore the signs your nails are sending you about your health; if you’re nail beds are any other color than pink, are extremely thick or falling apart see a doctor! 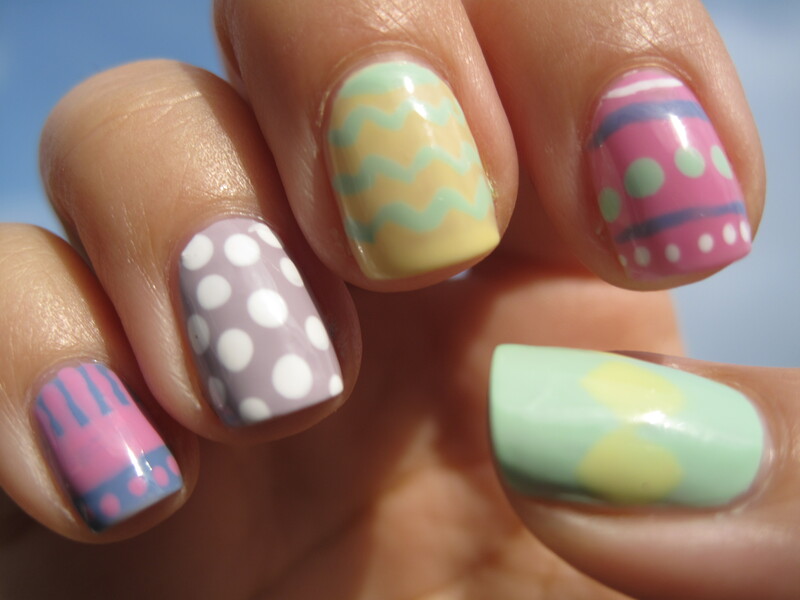 What are your fun facts, tips and tricks for fabulous nails? 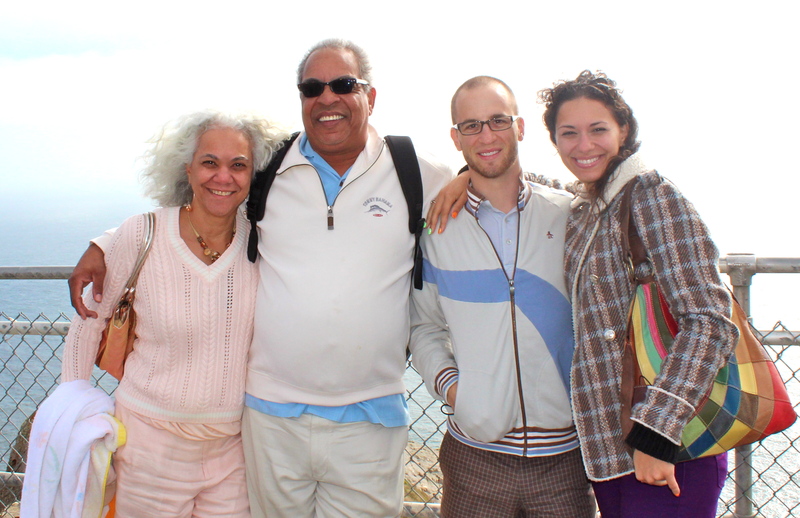 This past weekend my family came to visit from Sacramento. 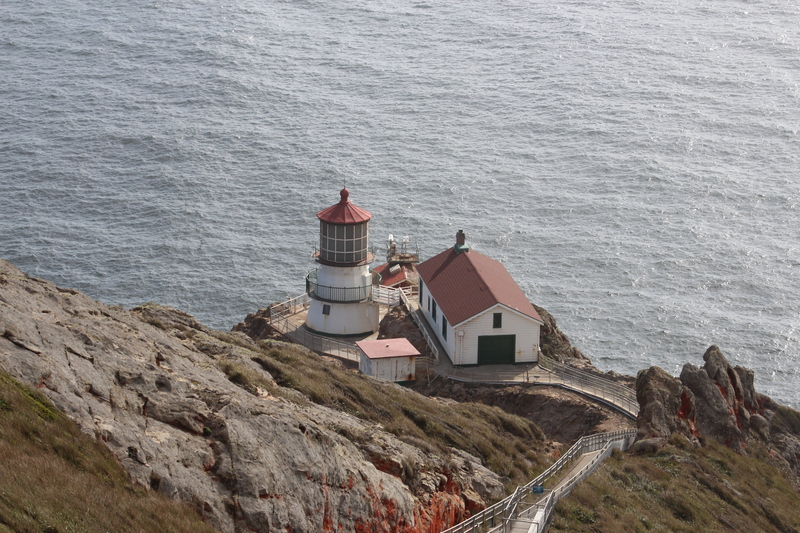 We decided on a day trip out to Point Reyes, which I would highly recommend if you enjoy scenic drives and the option for hiking or (cold) beaches. 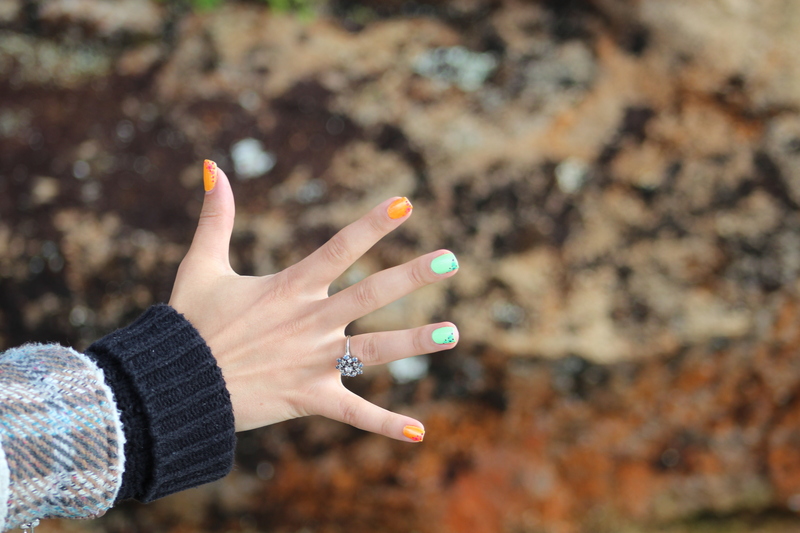 On the short hike to the lighthouse we discover a local Red Alga growing on the rocks next to green lichen that matched my mani so Stepdad Greg snapped a shot. Apparently we picked the perfect day to go because there was little wind and fog, both of which the lighthouse is famous for – they have records of winds over 100 mph. 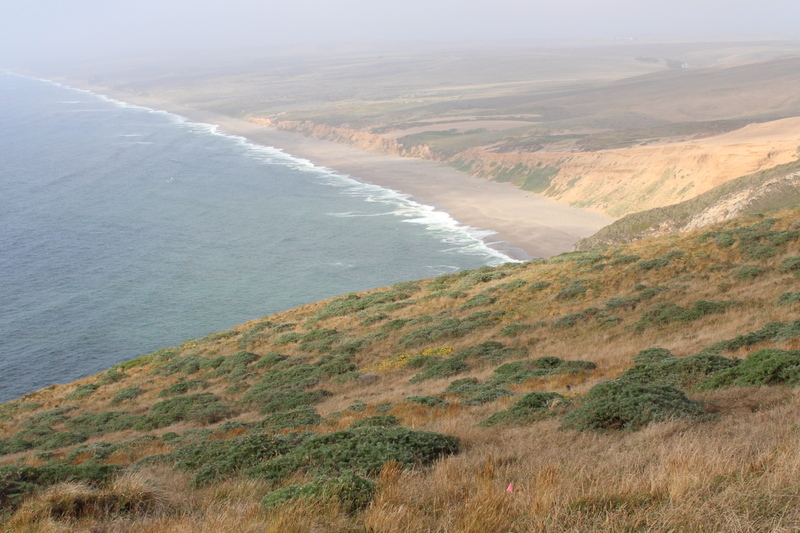 We were even lucky enough to see a whale, albeit from pretty far away! A beautiful weekend (with beautiful nails to match)! Nails matching the local Red Alga and lichen. 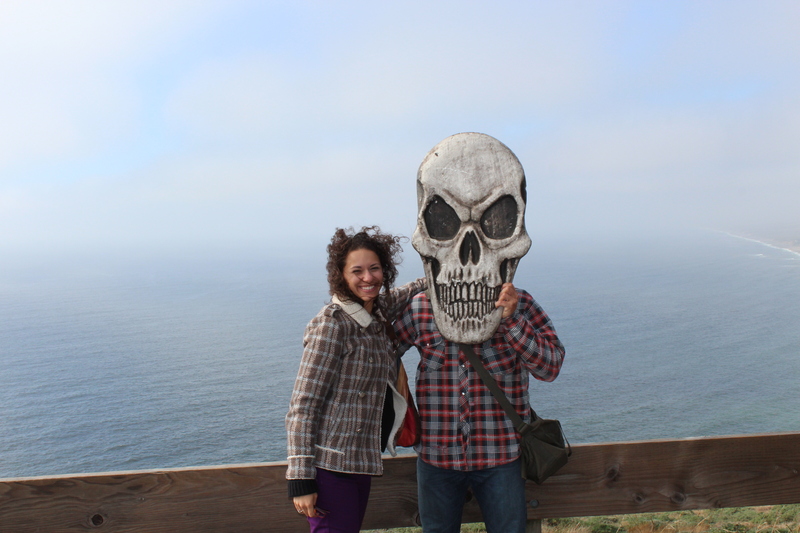 Never a dull moment in Bay Area site seeing! 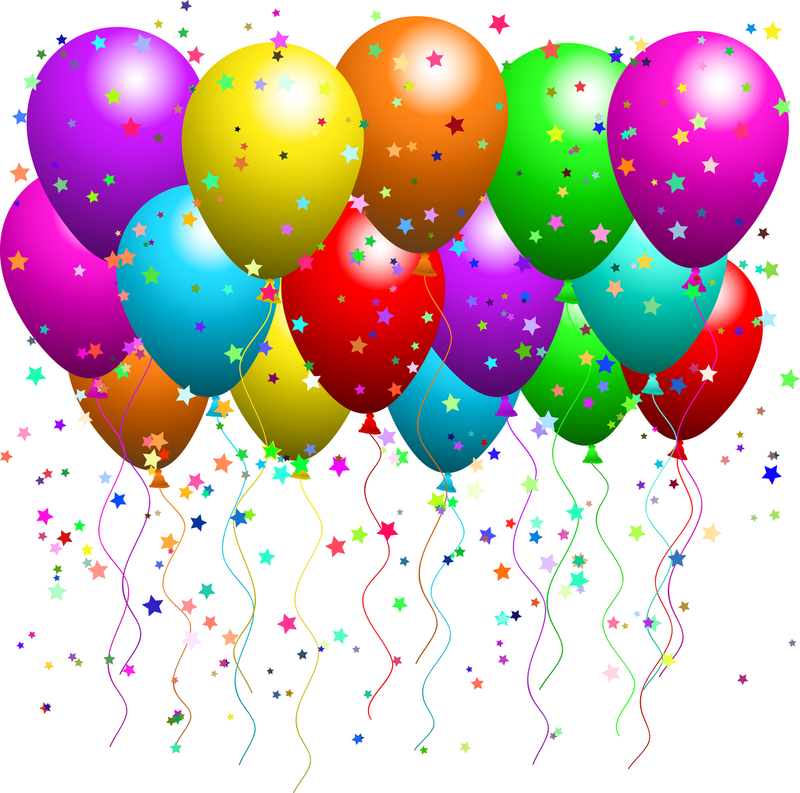 Just a quick celebratory post to acknowledge that NailSmiles.com has reached it’s first milestone of 100 unique visitors! A big thanks to everyone who has stopped by so far; I’m excited to watch the site grow and appreciate all the support. Contests to come!